The Capacitors were a short lived hip-hop duo at MIT. 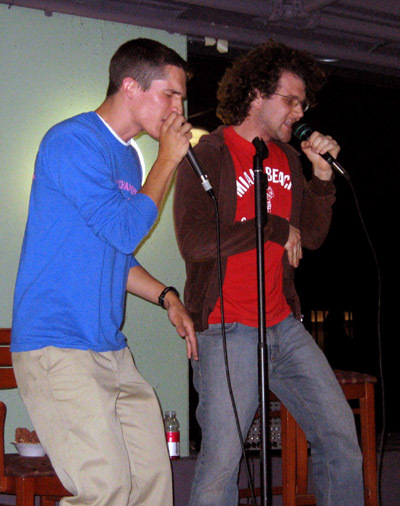 The Capacitors were Nate Ball (beatbox) and Barry Kudrowitz (lyrics). There are no instruments or digital effects just two microphones. The Capacitors recorded a sample track for "Stelevision." This track is available below (1.6M, .mp3).